Cutting: Zinfanatics who prefer sophisticated Zinfandels will love the complex black cherry, plum, pepper, spice and licorice aromas and flavors of this great wine. 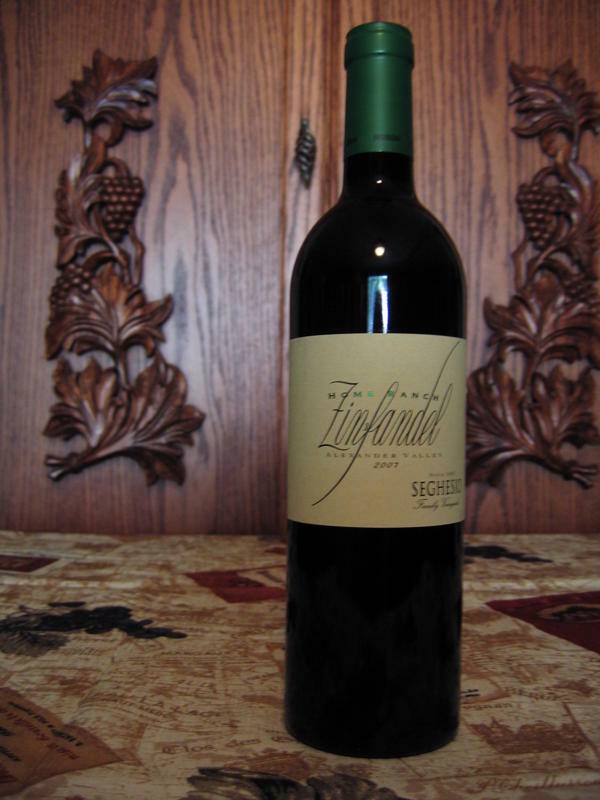 The Seghesio Home Ranch Zinfandel from Alexander Valley is a magnificent wine with complex black cherry, plum, pepper, spice and licorice aromas and flavors. A wine of real substance with a beautiful long finish with some spice and cola flavors. It was barely edged out for the number one ranking in our Alexander Valley tasting. Thank you so much for the kind words! Although we would love to take full credit, the star here is the vineyard. Planted by our grandfather, Edoardo Seghesio, in 1895, it consistently produces a complex wine with beautiful dark fruit flavors. Through a friend we were introduced to Seghesio and have never been disappointed. If you gave this a 92, I can’t wait to read your notes on the #1. Welcome to Zinfanatic.com, Cathy. We appreciate your comments and Seghesio’s commitment to producing wonderful wines.